This is a new collection of river stories that capture the essence and mood of river guiding and like an old friend and the river itself, lure you back for another trip. 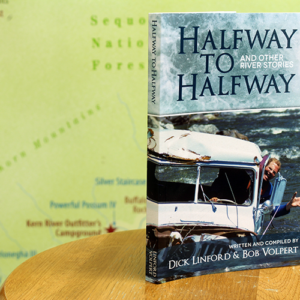 This second book builds on the success of Halfway to Halfway & Other River Stories, an award-winning compilation of river guide tales published in 2012. Twenty former and current river guides wrote the 41 stories in this compilation. Most take place on Idaho’s Middle Fork of the Salmon, the Rogue River in Oregon or on rivers in California. 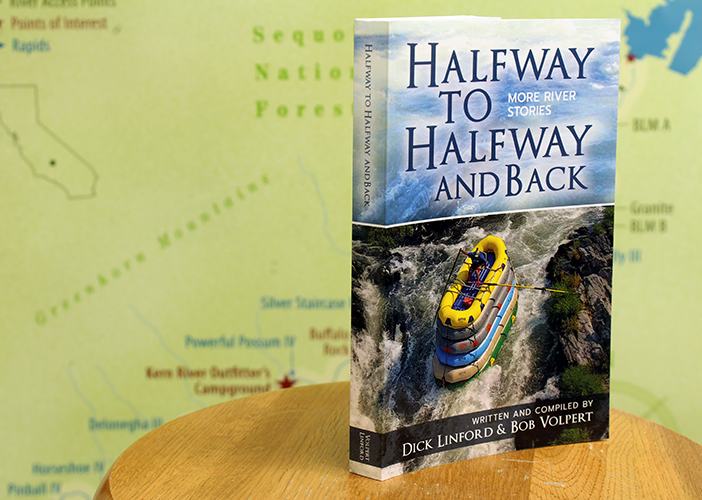 The tales focus on river related events that usually have little to do with whitewater. Some don’t even take place on a river. All say a lot about the culture of guiding and the people attracted to wild places and the odd things that happen once they get there. These are the stories shared around a campfire after a day on the water. Some are funny, some sad, some quirky, but they all come from personal river experiences and lifelong friendships.